Doomsday has arrived. The terrorists have their hands on a nuclear device. As America’s only hope, you are thrust into a secret compound tasked with stopping the nuke from destroying the land you love. As you weave your way through the compound, eliminating terrorists in your cybernetic suit, you have a showdown with the boss of the operation. As you throw him into a pit of lava, you realize that it’s too late. The nuke has been launched. In your most noble sacrifice, you jump on the flying nuke, disabling it as you scale to the top. Your companions tell you how much you mean to them in your final moments. Oh yea, and Aerosmith’s I Don’t Want to Miss a Thing is playing in the background. Tell me, how much more Murican does this get? The answer may shock you in Saint’s Row IV. You are the leader of the Saints, and newly appointed President of the United States. From the onset, you can fashion your POTUS to be as awesome as you want him or her to be. Your once nefarious homies are now the leaders of the free world. You must make important decisions. Decisions such as whether to cure cancer or end world hunger…and when to have the next rager with the cabinet. It’s an endearing concept, and one that plays out hilariously in game. All seems well until another curveball is thrown at you. Aliens have attacked Earth. Yes, aliens have come to enslave mankind. Despite a valiant and patriotic stand, you are trapped in a harvesting pod and thrust into a virtual Steelport. Somehow, this all sounds familiar. After the hilarious introduction, the real game begins. Almost all of the mechanics from the previous game are intact. If you are familiar with the formula, you will find yourself adapting to the new game in no time. For those not familiar with the series, Saints Row is all about completing objectives and becoming increasingly more badass. Yes, there is a main mission, and it is by far the funniest one to date. But more importantly, you are open to roam the virtual streets and collect a myriad of powerups, complete side missions, overcome challenges, or just plain cause as much destruction as humanly possible. It is a satisfying mix, aided by the fact that your cash and experience can be spent on new upgrades, weapons, cars, and other bonuses. Of course, Saints Row wouldn’t be complete without some sort of ridiculous addition that makes you even more unstoppable. 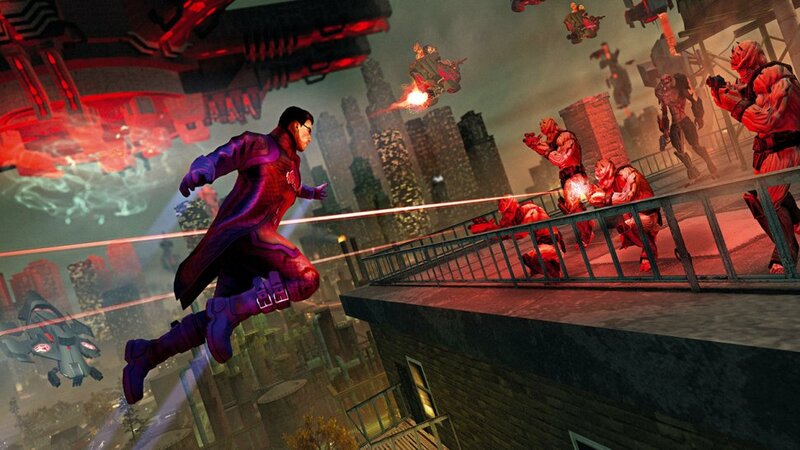 The thing that sets Saints Row IV apart from the other games in the series is the addition of superpowers. Not too hard to believe, as you are basically the master of a virtual world. There are virtual fragments scattered all over the streets, and by collecting them, you can upgrade your superpowers. In the preview version of the game, I was able to use the sprint, super jump, and freeze powers. In a word, the powers were incredible. I was able to sprint faster than cars, leap tall building in a single bound, and generally look awesome as I caused destruction all over town. It was extremely fun to run around at supersonic speeds and perform melee executions on unsuspecting civilians and enemies alike. There is a balance tradeoff here though. Although the powers are a blast, they are simply too strong and useful. Even at the weakest level, the super sprint basically made the car useless, as I no longer had to worry about staying on roads. Combined with super jump, I could simply run and jump in a straight line to my objective. Adding powers is cool, but they are not as cool when they make tried and true game mechanics obsolete. While Saints Row has never truly been known for its challenging gameplay, I can definitely see super power abuse running rampant in the full game. For the most part, virtual Steelport is similar to the Steelport of old. There are civilians of all shapes and sizes, dressed in whacky outfits, doing and saying weird things. There are cops everywhere. Aliens patrol the streets, who add their own combat dynamic to the mix. Gone are the gangs found in previous games, which was a bummer. It would have been nice to see virtual gangs recreated for our savage amusement. However, it would conflict with the intent of the peaceful simulation. Luckily, the aliens posed the biggest challenge, and I did get to square off against an alien boss that put my health in the red with a single blast. Towards the end of the preview I picked up the freeze power, which freezes enemies in place. More importantly, some aliens will have shields that need to be first deactivated with an icy blast before they can be harmed. It will be interesting to see how future superpowers are integrated into the combat system, and there is a lot of potential in this area. I should definitely mention the graphics and sound, which were an absolute delight. On the PC version, the graphics looked spectacular, with lots of color and character. This was true even on medium to high settings. If you have the rig to support ultra-settings (I don’t) then you can enjoy a rather beautiful looking Steelport. The sound effects and voice acting were top-notch. Lines were delivered humorously and were chock full of American cheese. The music stations were limited, mostly featuring wub-wub dubstep and today’s latest rap hits. Hopefully we will get a deeper radio setlist with the full game (here’s to hoping for another metal station and the Adult Swim station). Overall, I was very happy with the graphics and sound. 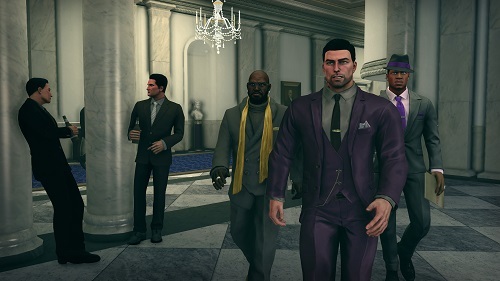 Of course, Saints Row wouldn’t be the same without co-op. Sadly I was unable to find a co-op partner by the time of this writing. It appears that you will be able to play through the game with a partner just like in previous games. According to Amazon.com, the game features seamless drop-in and drop-out co-op play. Two presidents can team up to tackle virtual Steelport, superpowers and all. Sounds like a blast, and we can’t wait to try it out and report the experience. 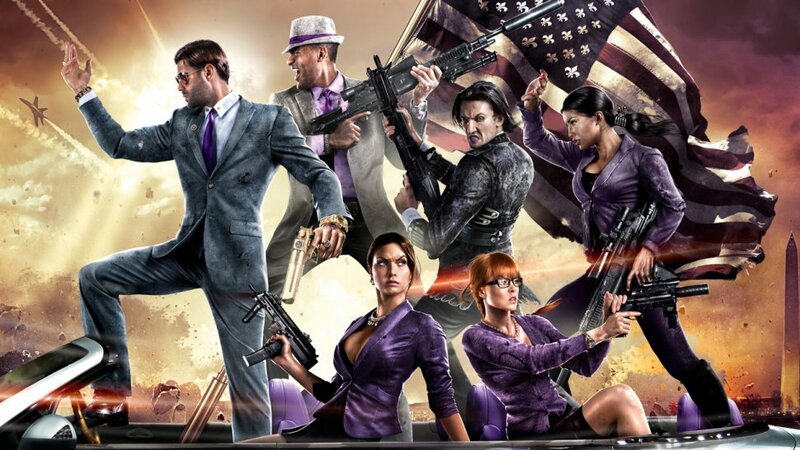 Saints Row IV is the modern American pie. It is chock full of action, aliens, guns, and probably contains almost every American action stereotype you can think of. We live in troubling times, with an economy in crisis, and a host of social issues relevant to all. 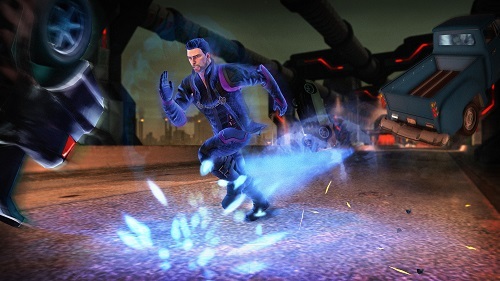 Saints Row IV unites us all in a common goal to destroy the aliens. And we will do so with massive weapons, vehicles, and super powers. Because Murica!